YORWW Bible Academy Rules For The 90-Day Online Bible Study Course! In short, the YORWW Bible Academy [YBA] is an online bible study course, especially designed to give God's “Name People” (Jehovah's Witnesses) a correct understanding of bible prophecy, and set up to dutifully advise them of the key role they play in this prophetic drama as "apostate" Modern Day "Israel" of bible prophecy. (Isaiah 10:6; Acts 15:14) That being the case, if you are visiting us for the first time by chance, and are NOT familiar with the beliefs of the Jehovah's Witnesses per say, please be advised all our discussion boards have been set up especially for Jehovah's Witnesses, to deal at length with their unique beliefs, biblical teachings and precepts taught currently among their number. In other words, the YORWW Bible Academy is primarily set up to correct those erroneous views held by Jehovah's Witnesses and only them. (6) the book website itself called theREPORTbook.com which provides detail information on the book and a place to get the book conveniently within the privacy of your own home. (7-10) Websites Jamaica United Voice, House of Reuel, Merchants of Cush and 4 Living Creatures are all 90-Day Online Bible Study Courses, identical in content to the Living Waters Forum. Our reason for putting this special blog (YORWW Bible Academy Rules Page) on the net, was to quickly discuss a few areas of concern for us, and to acquaint you with our special guidelines for participation, so as to let you know BEFORE starting the 90-day bible study program, exactly what will be expected of you as a registered member. In this way for the very first time, you are now becoming acquainted with the unique concept of an EARTHLY JERUSALEM OF BIBLE PROPHECY ... an AWESOME structure of God's making, and certainly one that must be respected at all times!!! 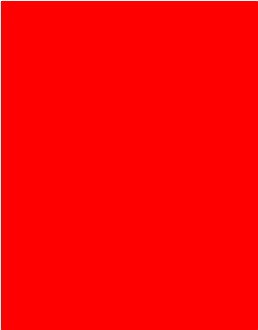 -- Please see Leviticus 19:30; Hebrews 12:21, 22. So today, you are being introduced to the idea, yes the unique concept, of a "New Jerusalem" God's Grand City (Jeremiah 25:29) upon earth, just as Jesus promised at Matthew 6:10. To be sure, this is the Grand "City" that all upon earth will have to fully recognize, as "God's Law goes forth" from it, for the benefit of all obedient mankind. Therefore, because of the great significance of this particular situation you are now facing, yes, the information you are about to embark upon and give your most serious consideration to, we hope, will indeed successfully acquaint you with this new, unique concept, that is New Jerusalem Upon Earth As God's Visible Kingdom ... For The Benefit Of All Obedient Mankind! Praise Jah!!! -- Please see Genesis 22:18; Isaiah 2:2-4; Micah 4:1-4; Zechariah 8:20-23. After considering the information mentioned above, please carefully read over the Academy Rules shown below BEFORE enrolling in the YORWW 90-Day Online Bible Study Course. One of the first things you will notice after being admitted at LWF, is that many bible topics have already been PRE-SELECTED for discussion for the class. To be sure, there are well over 250 timely bible topics that have already been started by diligent members of the YORWW Congregation for your benefit and convenience -- exactly as we would find in a classroom setting. Actually, many of the topics presented are ones that have never, ever been discussed by Jehovah's Witnesses in general. For example, the discussion dealing with the Scapegoat Covenant. This is a topic that Jehovah's Witnesses know nothing about and have never discussed before. Also, the topic dealing the 2-Kingdom Concept, as well as the one dealing with New Jerusalem becoming an EARTHLY kingdom governmental arrangement. Yes, these topics and more are already available for you to examine and study over, in the privacy of your own home. Next after reading the material presented, you are now permitted, yes invited, to comment upon those threads, those topics shown on our board now. Yes, now the real discussion can begin! Nevertheless, we just wanted to remind you of how we see things here at LWF. Yes, we view things just as when one enrolls in a school setting for higher learning, which is designed for mature adults -- like attending a college or a university of one's choice. And of course, in this case, we as the YORWW Congregation, feel we should appropriately represent the School Administration itself. And we feel proper decorum would match that which is usually observed at a university classroom setting. This means at all times, all students & teachers attending the school facility, are always treated with proper respect and the classroom "instructors" would always be accorded dignity and respect, regardless of the viewpoint presented or taught by the Instructor. In fact, even if we vehemently disagreed with what a college instructor was teaching to his class, certainly we wouldn't want to try to publicly DISRUPT the class and try to cause an OUTRIGHT REVOLT or RIOT at the school, since we simply didn't agree with some of the things taught there, would we? Common sense would dictate otherwise, we believe, if one were a "student" within a school institution of some kind. No respectable school institution administration, would tolerate such behavior in their students. We would have to agree with that point. Therefore, in our viewpoint, the LWF Discussion Board thus becomes a place of higher learning, a school, a place of HIGHER learning like attending a college or university where important educational matters are discussed and explained to prepare people for SECULAR leadership roles in our society. However, in this case, we discuss important SPIRITUAL matters, yes with those who are spiritually mature, discerning adults (both teachers & students) -- those who are very serious about their SPIRITUAL learning and educational growth. -- See 1 Corinthians 2:13-15; Philippians 3:15, 16; Philippians 4:8; Colossians 1:9, 10; Hebrews 5:13, 14. 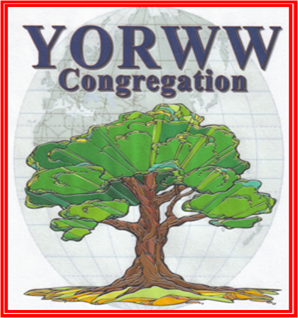 Ninety (90) Days Becomes A Pre-Acceptance Period For The YORWW Congregation! Thus, it would be good to keep in mind, when one becomes a participating member of the LivingWatersForum, he or she has become a prospective member of the YORWW Congregation. This means the 90-Day Bible Study Course, automatically becomes a SPECIAL 90-DAY PRE-ACCEPTANCE PERIOD for joining the YORWW Congregation. In other words, if one has no desire to join the YORWW Congregation, then he or she should not join the LWF Discussion Board at all. Yes, this is something that you must understand, before joining us as registered members of the LWF Discussion Board. Indeed, we feel certain that after 90-Days of exposure to our urgent message, yes after 90-Days of receiving spiritual instruction from the written material presented on our discussion board at LWF, a diligent student of God's Word should be in a good position to make a FINAL DECISION as to whether he would like to become a member of our congregation. Yes we feel, 90-days is enough time, for one to know whether he wishes to become a member of the YORWW Congregation itself or not. In fact, we are hoping that you too, who are reading this for the first time, you too, will want to join us, as members of the YORWW Congregation, after your 90-Day stay with us! Yes, that is our hope, that is our prayer, Praise Jah! Of course, for the benefit of the general public, you can find a listing of our basic beliefs and teachings on the Forty (40) Basic Truths Page. Then too you will find, Ten (10) Special Links shown at the bottom and top of the forum page of LWF Board that provide concise, in-depth insights on our unique beliefs and teachings, as well as many, many Blog Pages created (see navigation buttons below article, for instance), complete with graphics, covering various topics of interest for your convenience. Indeed, at either SNS or CE Discussion Boards, you will find thought-provoking information to especially prepare you for the 90-Day Bible Study Course at LWF. And of course as you know, when you take the 90-Day Bible Study Course at LWF, you will get the full picture of our beliefs in detail, as there are some 25 forums with over 250 articles provided for your spiritual edification, including an in-depth discussion of how we can scripturally identify Babylon The Great of our times, and a full discussion of the new "indefinitely lasting covenant" that Jehovah God has provided (through the blood of Jesus), that will serve to "atone" for all of the sins of God's Name People today. - See Ezekiel 16:59, 60; Jeremiah 50:4,5. Do You Believe the Forty (40) Elementary, Fundamental Truths Taught By Jehovah’s Witnesses? All participants of the 90-day Online Bible Study Program must fully accept and believe the Forty (40) Elementary, Fundamental Truths taught by Jehovah’s Witnesses before joining. This is a requirement. Do You Have Your Own Personal Copy Of The "Report" Book Volume I? Just as one would need his or her own personal copy of a college textbook when attending an institution of higher learning like a college or university, the same would be true of ALL who wish to participate in the Special Online Bible Study Course featured at the YORWW Bible Academy [YBA]. To be sure, by having your own personal copy of the YORWW Academy's textbook (The "Report" Book Volume I.) BEFORE you start the special 90-Day Bible Study Course at LWF, assures all students in attendance have the necessary background information to participate freely with the instructors and students present, on each topic of study under consideration. To be sure, the book provides much greater details of our special message, than is shown on our discussion boards. So then please keep in mind, it is a requirement for all students and participants on the 90-Day Online Bible Study Program at LWF, to have their own personal copy of this book before they enroll. No doubt, you will find the bible instruction here at LWF to be very different from what you received in your local kingdom hall. Actually you will find the standards and requirements here, are much higher in fact. And because of the high requirements set here at the YORWW Congregation, bible prophecy reveals most Jehovah's Witnesses (the majority of them) regrettably will simply NOT qualify for such a high calling. No, but we realize Jehovah God has deliberately set VERY HIGH standards for the establishment of "New Jerusalem" upon earth today, to keep all undesirables (persons who practice sin) or individuals of NON-faith out of His Holy City. In so doing, Jehovah Himself keeps His Grand Promise to completely cleanse EARTHLY Jerusalem of all wicked or unclean ones, once and for all. -- See Isaiah 35:8-10; Ezekiel 20:35-38; Zechariah 13:8, 9; Zechariah 14:20, 21; Revelation 21:8, 27; Revelation 22:14, 15. Special 90-Day Bible Education Program Implemented For All Registered Members At LWF! As you know, this discussion board has been prepared, approved and sponsored by the YORWW Congregation itself. Indeed, you will clearly notice, the members of the YORWW Congregation ALL serve as "Administrators" and "Moderators" of the "Living Waters" Forum Discussion Board. Simply put, the YORWW Bible Academy "CURRICULUM" we believe, has been established and is set, for all students who agree to attend for INCREASED knowledge and learning of bible prophecy itself. (Proverbs 9:9) Therefore at YBA, it is NOT our purpose to invite individuals of other religious persuasion such as, clergymen, Doctors of Divinity, and/or noted individuals of learning from the field of theology, to explain biblical matters to us, as it is quite obvious their teachings are flawed, erroneous and bring great reproach upon Our Grand Creator. Instead, we know God's Word makes clear, Divine Truth will be given to Jehovah's "Chieftain" and only him, as special "bread" in the "East Gate" of God's Temple of today. Indeed, it is from this source, God's Holy Temple Arrangement, that "living, healing waters" of Divine Truth will flow to all mankind for their benefit. -- See Ezekiel 44:3; Ezekiel 47:1-12; Revelation 22:1, 2; Genesis 22:18. At YBA, we maintain the candid viewpoint that, since we have taken on the weighty responsibility to open this discussion board ourselves to the public, and to maintain it, and further to finance it with our own money, time and expertise, then we are sure you can fully appreciate why we have taken the view of things that we have to completely operate this discussion board, as we see fit. And we know you can understand that fact. Thus, all members of the YORWW Congregation, properly view themselves then, as "Public Instructors", trained "teachers" for the special work we do in behalf of all God's Name People worldwide, as well as the rest of mankind world wide. And we hope, in time, you will come to the same conclusion, and wish to join us as trained "public instructors" of God's Word also. In starting this discussion board, what we originally hoped for would be, a full "student body" made up exclusively of particularly keen bible students from among Jehovah's Witnesses, that would adamantly and steadfastly agree to the following: Bible Prophecy, with either good or negative connotations, will have certain fulfillment upon God's Name People, Jehovah's Witnesses themselves as a people and nation. you wholeheartedly believe Jehovah's Witnesses are indeed, God's Name People, yes Mystery "Israel" of our times, fulfilling bible prophecy. Another good point to keep in mind about the YBA is this, even though we agree Jehovah's Witnesses do possess some forty (40) basic truths themselves, there are many, many important doctrinal and procedural issues taught by the Watchtower Society that are IN ERROR, BLATANTLY WRONG and thus of great concern to God's Name People today. Therefore, we can see the need for providing such discussion boards like CE and LWF Discussion Boards for searching Jehovah's Witnesses who wish to have open, frank dialogue with fellow believers on many pertinent biblical issues affecting them today. 90-Day Online Bible Study Programs!